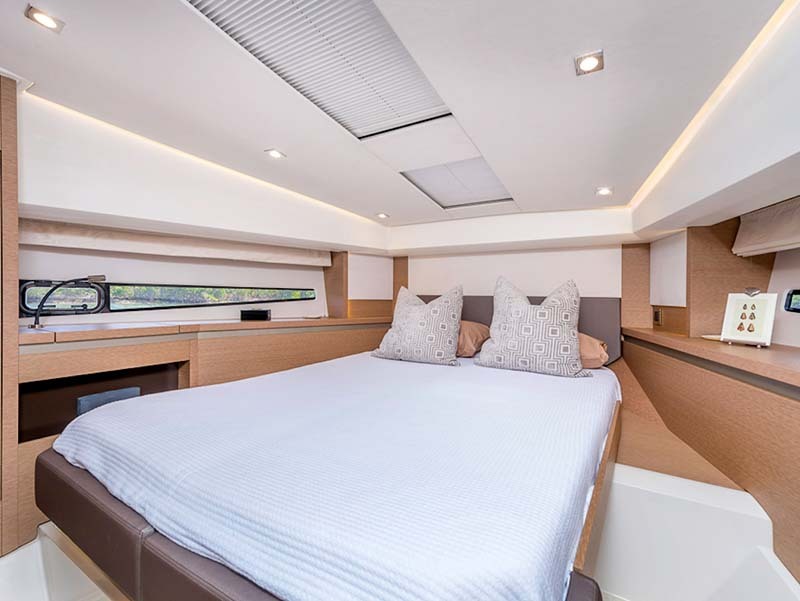 The nearby elegant 50-foot Prestige 500 S, features an Owner’s Suite and a tender garage designed for the Williams 285 LP. 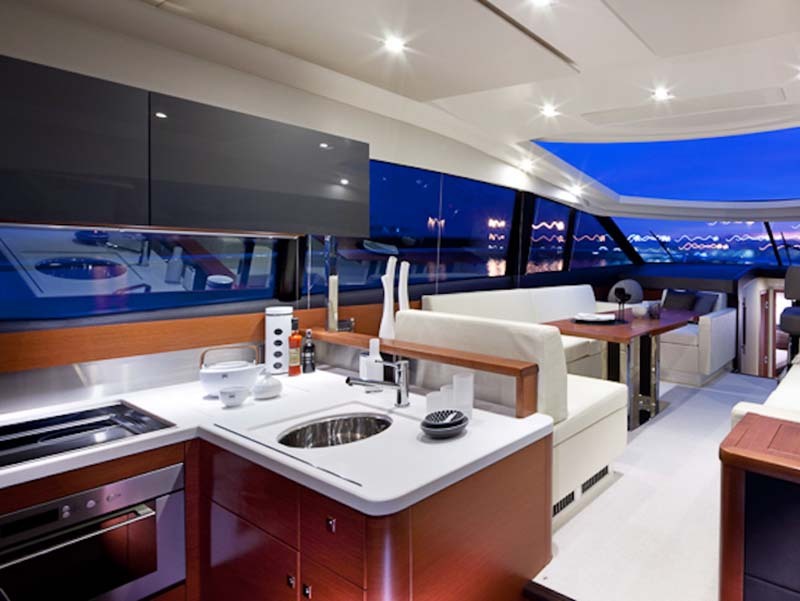 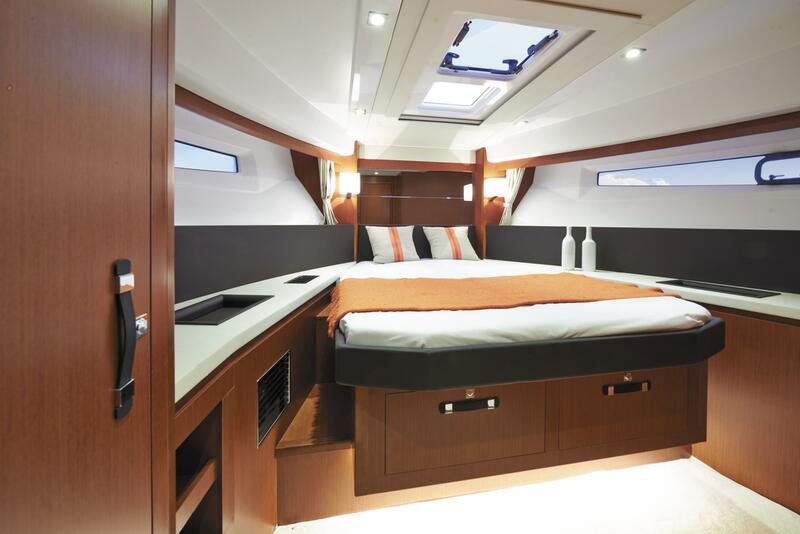 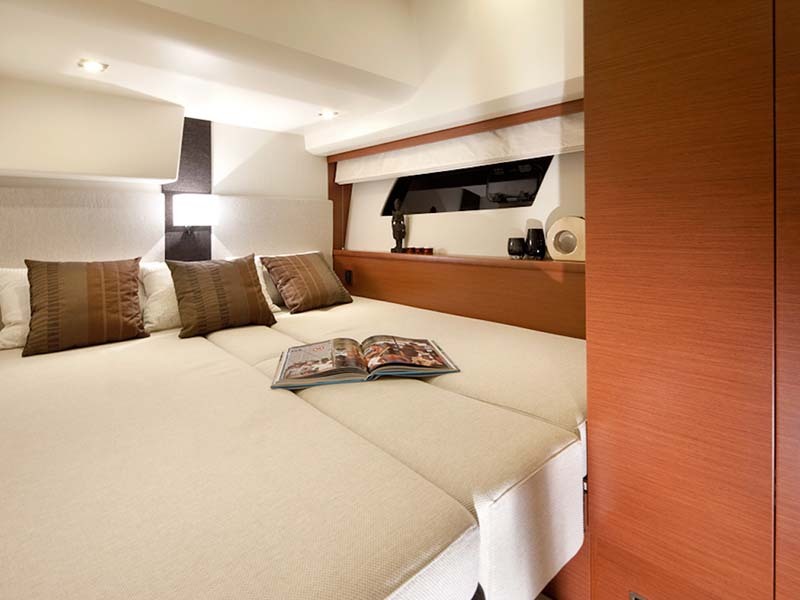 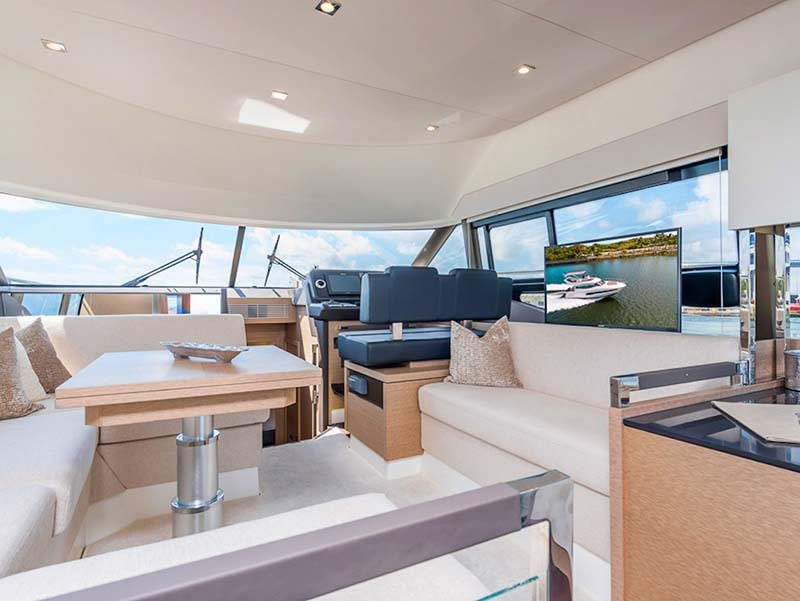 While the third yacht on display, a 43-foot Jeanneau Velasco, features soft lines and beautiful 360-degree views designed for smooth, safe cruising at high speeds. 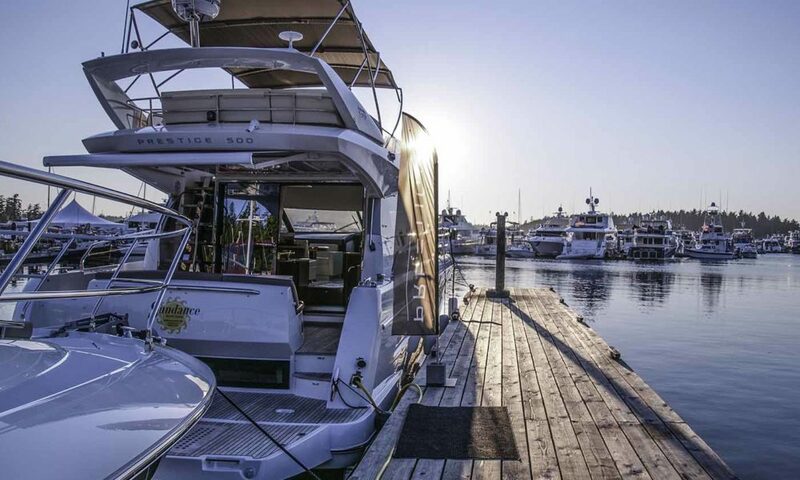 All the boats embody Northwest, four-seasons cruising––with beautiful cabins where you can turn up the heat and cruise in bad weather, or open everything up and really feel the outdoor experience on a nice day.